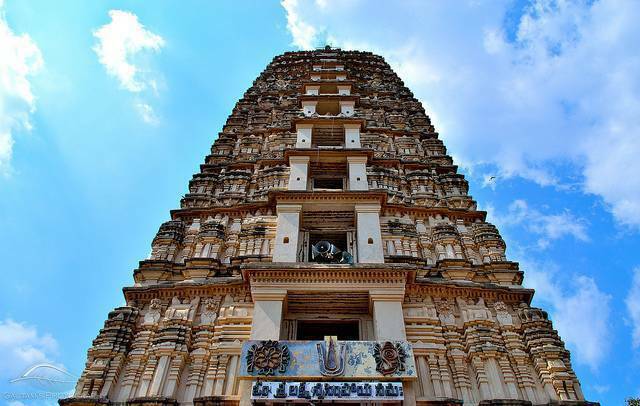 Mangalgiri Temple or Panakala Lakshmi Narasimha Swamy Temple is located at a distance of about 25 KMs from the main city of Guntur, Andhra Pradesh, India. It is one of the most ancient temples in South India. It was built by Zamindar Sri Raja Vasireddy Naidu in 1807 - 1809. It is at a height 30 m. The main attraction here is the 11 storied giant Temple Tower which is also called Gali Gopuram. The devotees offer water mixed with jaggery to God during worship.